Welcome to Hawthorn - Year 6! Welcome to Hawthorn Class! Our class teacher is Miss Yeates who loves pandas, reading and Harry Potter. We're very lucky to have Mrs Davidson, Mrs Comber-Lye and Mrs Lutunatabua helping as our teaching assistants. Our P.E. days are on Monday and Thursday this term although we ask that children bring in our P.E. kits to school every day. We send out Maths and Literacy homework every Friday which is due in the following Wednesday. The focus of our homework will now turn towards revision and consolidating the children's prior learning. Even though we are now half way through the year, we still have lots of exciting and interesting topics left to learn about. 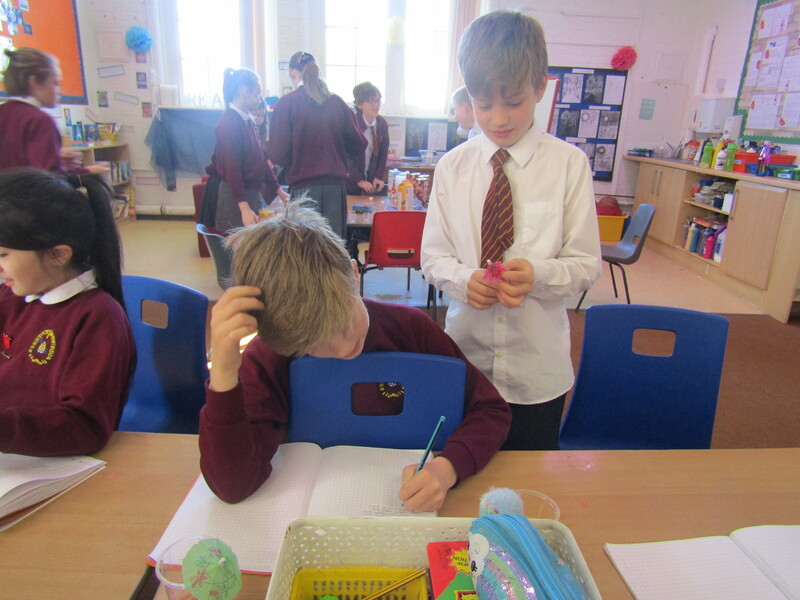 On this page you will find details of our termly topics, useful websites and class information as well as photos of what we have been doing in school recently. 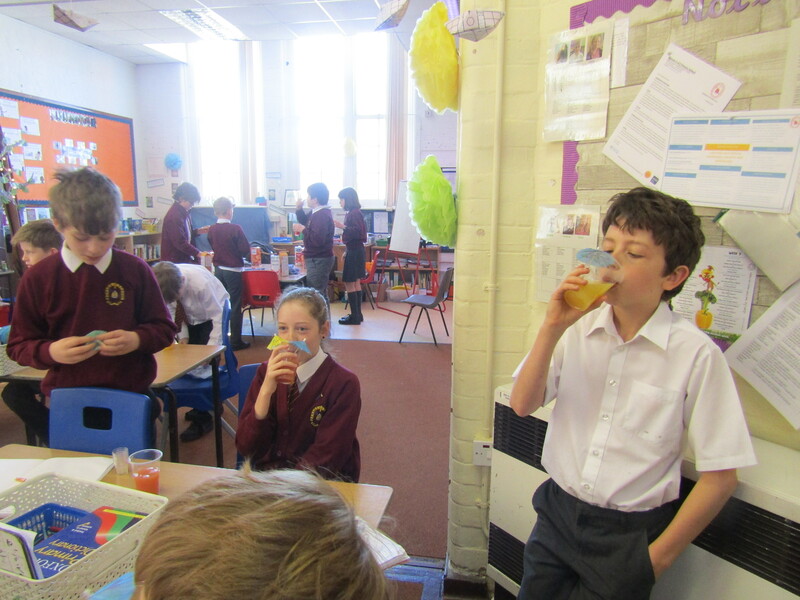 To start off our learning on ratio, we made mocktails. 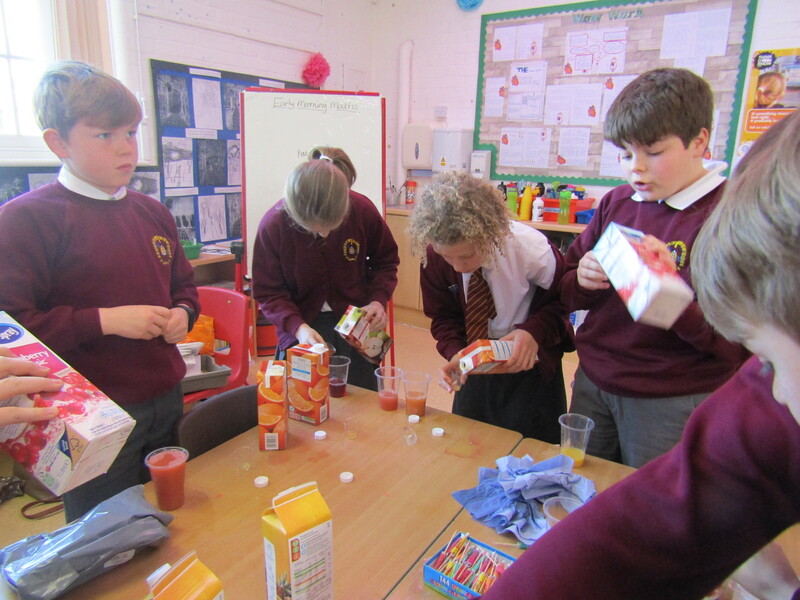 Each group had their choice of four different fruit juices. 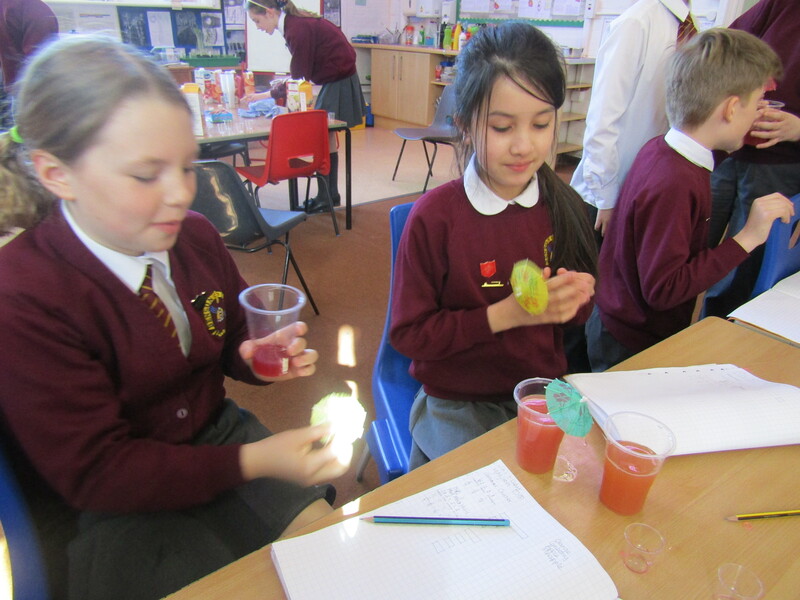 Once they had chosen which they wanted, they wrote the ratio to show how many parts of each fruit juice they would use and wrote this as a fraction. 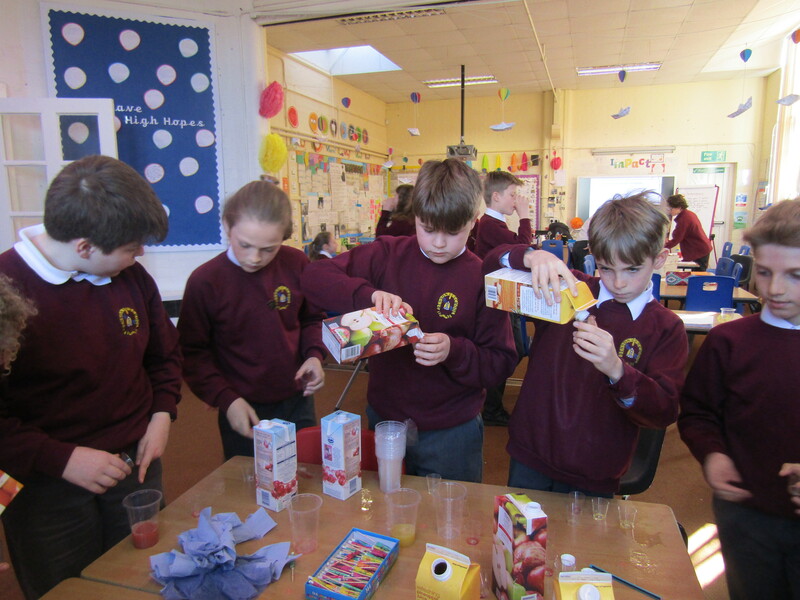 Everyone had lots of fun and made some delicious drinks! We had a lovely day celebrating books and reading on World Book Day. The fun activities included creating art to represent our favourite books, drama and creating book characters out of potatoes! All of the children's costumes looked brilliant and it was wonderful to see them so enthusiastic about reading. 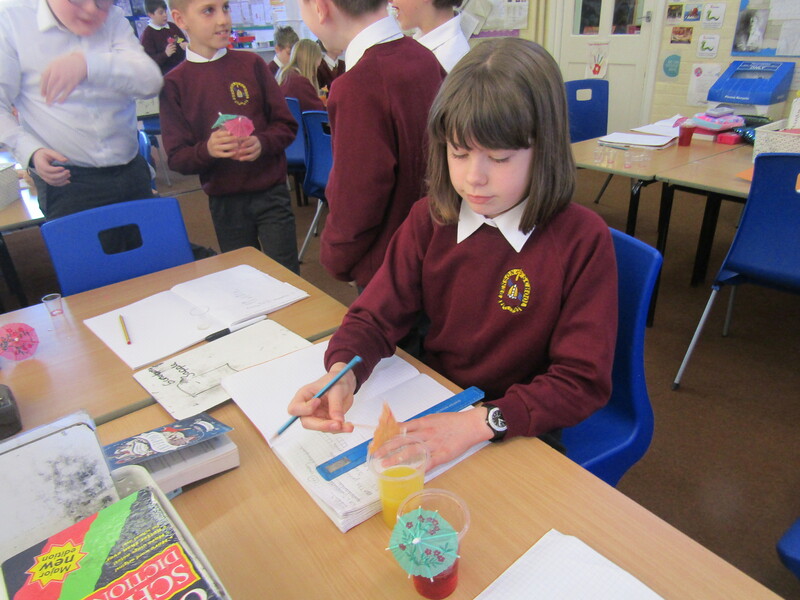 Now that we have created our own fantastic beasts, we've moved on to brewing our own potions! 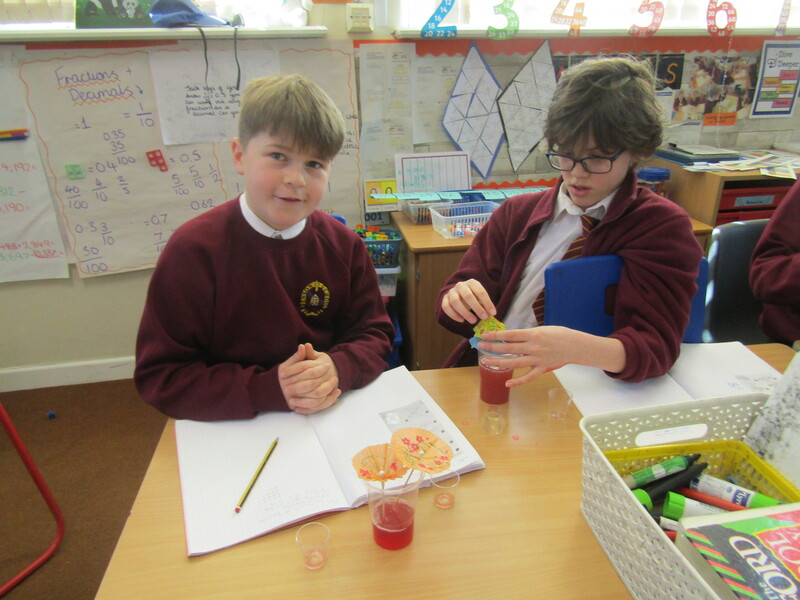 The children had a great time this week choosing from the different ingredients on offer (including Dragon's Blood, Werewolf Fur and Powdered Bone!) and then combing them to produce their very own potion. Now that the children have mastered the art of potion making, they will be writing instructions to help muggles to brew potions too! Now that we've reached the end of our work on World War 2, we're learning about the lasting impacts of the war. Last week, we learnt about the United Nations and the objectives which the U.N. have. To help us understand this, we became delegates from different countries in the U.N. and took part in a model security council. Each pair of delegates suggested solutions to the conflict in Sudan and suggested them to the council who then debated the solutions. In the end, we concluded that we should suggest the government holds an election, send both financial aid and supplies to the refugee camps and that each country would open their doors to the refugees. The children did a brilliant job of considering how they would establish peace- there are definitely some future diplomats in Hawthorn this year! One of the pieces we created in Art this term are our clay soldiers. Each child rolled and smoothed the clay to shape it into a soldier. Some chose to add detail with helmets or by making parts of the uniforms. All of the soldiers purposefully do not have any detail in their faces so that each can represent any of the soldiers who fought in World War 2. All of the children had a fabulous time at PGL and made us all very proud with their behaviour. I have added only a few photos to the website at the moment as we have so many to share. All photos will be shared at our PGL assembly on Friday 12th October where the children will also share their memories of PGL. We look forward to seeing you there!